No Reserves! No Starting Bids! 10% Buyer's Premium. Bidding ends: Thursday, January 31st. Lots start closing in one minute intervals at 7:00 p.m. Eastern time. Inspection: Wednesday, January 30th, from 10:00 a.m. until 6:00 p.m.. IMPORTANT: Buyer's must travel to the auction site to make payment in person and provide their own labor to remove their items on Friday 2/1 between 9:00 a.m. and 5:00 p.m. or on Saturday 2/2 between 10:00 a.m. and 1:00 p.m. Eastern Time. Click here to watch a video about this auction on my youtube channel. Click here for a printable copy of the catalog. Registering to bid at this auction is confirmation that you have read, understood and agree to comply with these terms. ALL SALES ARE FINAL. NO REFUNDS. NO RETURNS. NO EXCHANGES. LOCAL PAYMENT and PICK UP ONLY! Auctioneer WILL NOT load, package or ship any item. Buyer must travel to the auction site to make payment in person and remove their items. 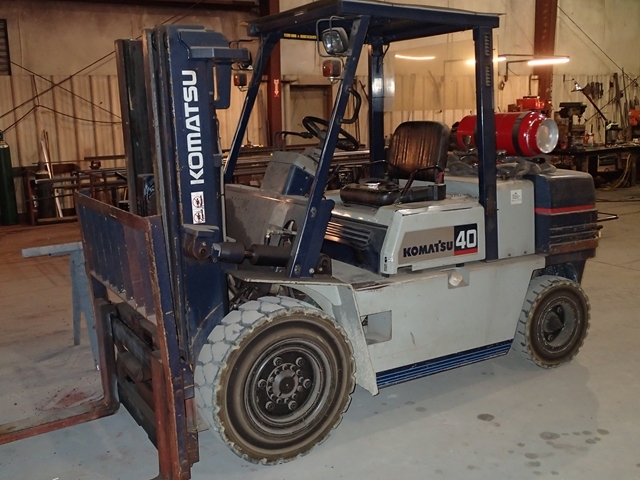 An independant forklift and operator will be available to assist with loading heavier items for a nominal cash fee. Bidder/Buyer shall not reject any item nor void any sale. By placing a bid at this or any auction you are entering into a legally binding contract. All available legal remedies will be pursued against any bidder that does not honor their bid by making payment in compliance with the terms listed below. The auctioneer is not responsible or liable for any interruptions or failures of internet service or the online bidding service. Anyone having problems with the online bidding service should call the Proxibid Support Center at (877) 505-7770. A valid credit card is required for registration at this auction. Credit card information is used by Proxibid for identification purposes only. Proxibid does not disclose credit card information to the auctioneer. Payment for items purchased must be made in person at the auction site. All items are sold on an "AS IS" and "WHERE IS" basis with absolutely no warranty of any kind, expressed or implied, including merchantability and/or fitness for a particular purpose. The staff of Tritech Auctions has described the items in this auction to the best of their ability based on observations and information from sources deemed to be reliable, however, no guarantee is made. It is the bidder’s responsibility to make inspections to confirm descriptions and determine condition, age, genuineness, value or any other determinative factor prior to bidding. INSPECTION: The auction site will be open for inspection from 10:00 a.m. until 6:00 p.m. on Wednesday, January 30th. Bidders are strongly encouraged to attend. This will be the only opportunity for preview / inspection. Location: 3501 Mattingly Rd., Buckner KY.
BUYER’s PREMIUM: A 10% Buyer’s Premium will be added, before tax, to the highest bid to determine the final selling price of all items. PAYMENT: Acceptable forms of payment are CASH, CREDIT CARD or CASHIER's CHECK. Full payment is due at time of sale and must be hand carried to the auction site NO LATER THAN 1:00 p.m. Saturday, February 2, 2019. The auction site will be open for payment and removal on Friday, February 1st from 9:00 am until 5:00 p.m. and on Saturday, February 2nd from 10:00 a.m. until 1:00 p.m.. The auction company reserves the right to confirm payment prior to releasing items. 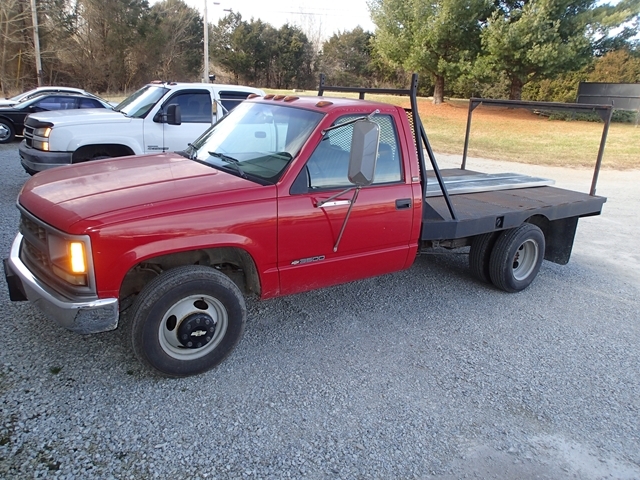 All payments, including credit cards, must be HAND CARRIED to the auction site at 3501 Mattingly Rd., Buckner KY. Auctioneer reserves the right to resell, without notice, any items for which payment has not been received by the deadline. Buyer may be held responsible for any shortfall. SALES TAX: Kentucky Sales Tax of 6% will be applied to all items. DEALERS purchasing for RESALE must provide a copy of their KY Sales And Use Tax Permit, or their states equivalent, along with complete and signed documentation, including proof that they are regularly engaged in the business of selling the type of items purchased. EDUCATIONAL and RELIGIOUS INSTITUTIONS must provide a properly executed Purchase Exemption Form 51A126 along with a letter on that organizations official letterhead stating that the purchase was authorized by the organization and that the items will be used for an exempt purpose. Bidders with any questions concerning the application of sales tax should call the auctioneer at (502) 523-4151 prior to bidding. The auction company may contact the Kentucky Department of Revenue to confirm the validity of any tax exemptions claimed by Bidders. REMOVAL: Time is of the essence. The auction site will be open for removal on Friday from 9:00 am until 5:00 pm and on Saturday from 10:00 a.m. until 1:00 p.m.. ALL ITEMS MUST BE REMOVED NO LATER THAN 1:00 PM SATURDAY. Any items not removed according to terms will incur removal and storage fees. No items may be removed until payment has been made. Buyer assumes all responsibility and risk for items they have purchased at time of sale and must provide their own labor for moving and loading or contract with an appropriate third party. All items must be removed in a workman like manner. Buyer will be held responsible for any damage to the property caused by Buyer or Buyer’s agents. Certain items in this auction may have specific removal requirements which, if any, will be detailed in their extended descriptions. The auctioneer does not provide any disconnection, loading, moving, delivery or shipping services. An independant forklift operator will be available to assist with loading heavier items for a nominal cash fee. Do not participate in this auction if you are not 100% certain that you can comply with the terms listed above. The link below will take you to our page on proxibid where you can view the complete catalog with photos and get started. You do not have to register to look. Copyright © 2003 Tritech Auctions, Inc.